A massive swarm of locusts plagued Mecca, Saudi Arabia, prompting authorities at Islam’s holiest site to launch a cleaning operation to remove them. We are reminded of the ten plagues of Egypt that came upon the nation because Pharaoh refused to let Israel go. “And the locust went up over all the land of Egypt, and rested in all the coasts of Egypt: very grievous were they; before them there were no such locusts as they, neither after them shall be such. For they covered the face of the whole earth, so that the land was darkened; and they did eat every herb of the land, and all the fruit of the trees which the hail had left: and there remained not any green thing in the trees, or in the herbs of the field, through all the land of Egypt” (Exodus 10:14-15). While the plagues of Egypt in olden days have no direct relationship to Saudi Arabia, we take note of the word “darkened.” Saudi Arabia is considered the most fundamental Islamic nation, and is now indeed going through darkness, for a number of reasons as reported in the news media. Where will it lead? A more liberal, Roman-oriented democracy, which will bring this most oppressive country into a more acceptable, functioning democratic society. Saudi Arabia too, like all other countries on planet earth, will unite under the spirit of Antichrist and become subject to global government. 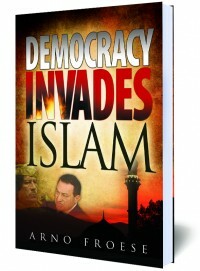 #1072 Reveals how the Arab revolutions will hasten the establishment of the final world government under the auspices of democracy and the Antichrist.